I like short stories. I remember reading a lot of them when I was a teenager, although those with a crime theme were less popular then. More recently there have been a number of good anthologies containing stories from across the crime fiction genre. In particular, I always enjoy Otto Penzler’s annual anthology of The Best American Mystery Stories. Last week, Oxfam published its own compilation containing 27 stories from an impressive list of crime writers. 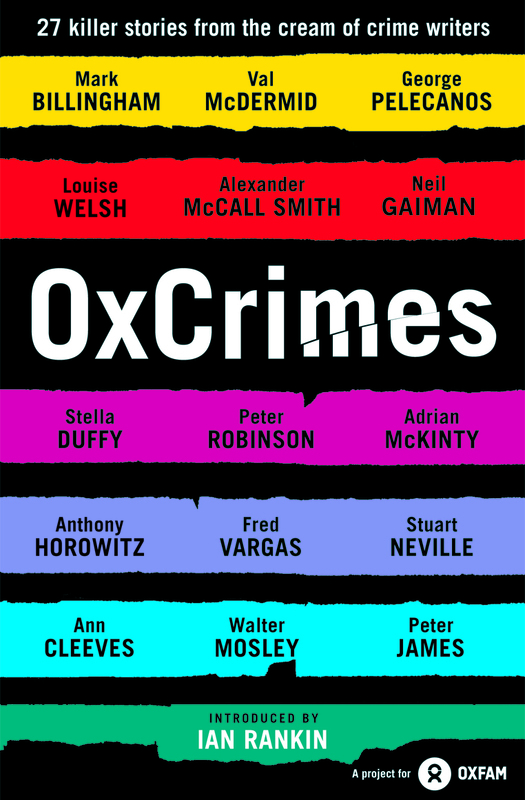 OxCrimes authors include Ian Rankin, Neil Gaiman, Anne Zouroudi, Ann Cleves and Peter Robinson. There are a couple of stories in particular I’d like to recommend. I’ve read very little by Christopher Fowler but I loved his story, The Caterpillar Flag. Set in Spain, it has a brooding feel and relates a tragedy seen through innocent eyes. Another story set in Europe is Reflections in Unna by Louise Welsh. It’s an overtly menacing tale with a strong sense of impending doom and written in her trademark compelling style. Finally, OxCrimes features one of my favourite crime writers, Fred Vargas. Her story, Five Francs Each, has Commissaire Adamsberg trying to persuade a down-at-heel street seller to give up the identity of a murderer. There are many more readable stories and it is a tribute to the excellent work that Oxfam undertakes that it has managed to get so many high quality crime writers to contribute to it. My anthology was from Oxfam bookshop in Ashbourne, Derbyshire. Run by Lynsey and the team, I can’t recommend it highly enough. If you’re in Derbyshire you should definitely pay it a visit. With previous books ‘OxTravels’ and ‘OxTales’ having raised over a quarter of a million pounds since their 2009 publication, Oxfam is hoping ‘OxCrimes’ will raise even more, helping to tackle poverty and suffering around the world. Visit Oxfam’s emergency Response pages to find out more about how you can help. I’ve heard nothing but good things about this collection, Sarah. I’m so glad you enjoyed it, and I”m looking forward to diving into it myself. Thanks, Margot. Moira has written some excellent posts about the book and I’m sure it will get a lot readers/buyers through her posts too. Sarah, I like short stories too. They convey so much in so few words. I read about this new anthology and the crime writers who made it in and I’m tempted to go for it. What’s stopping me is the deluge of vintage and early short stories, both standalone and collections, that I’ve picked up from online archival sites. Already much to read. Yes, I can see that Prashant. I’ve managed to pick up a few of those collections myself. Reading this anthology, I’d forgotten how much I liked short stories. I must try and read more of them. Great review Sarah, I really liked this collection too – I’d have bought it even if it wasn’t for a cause close to my heart! Thanks, Moira. And I’ve really enjoyed your posts too. Oh gosh! Although not usually a short story reader, I want to read this tantalizing collection. I wonder when it will be available across the pond in paperback format. I’m practically drooling at the thought of this book. So many authors I can sample plus read favorites, as Fred Vargas. I hope the collection is released in the States, Kathy as I know many of the authors contained in the collection are popular there too. Although not too fond of short stories, I will be adding this to my collection when it is available here. Good to hear that you enjoyed several of the stories. Amazon US says OxCrimes available in February 2015. Drat. Maybe there is a way around this through Book Depository or Abe Books. We over here will have to monitor this. I was 75% sold when I read about it on Moira’s blog, 80% now, just need one more little push to get it over the line! I do like short stories as a change. I enjoyed Denise Mina’s contribution to the collection. She’s a favourite author for me and her story went from the mundane to the menacing. 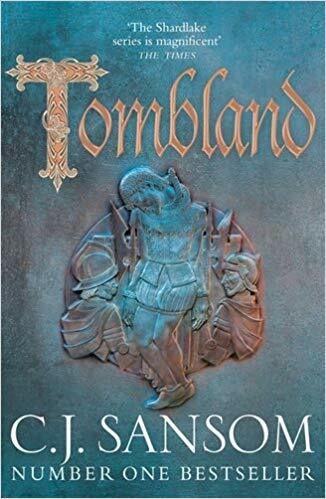 I haven’t read the whole anthology yet though – I’m dipping in and out depending on which author I feel like reading. I think that’s the best way to read short story collections. It’s a shame they aren’t more popular, as they’re a real art. The best collection of them I’ve read is called Eleven by the incredible Patricia Highsmith. So utterly terrifying as a writer, and possibly my favourite of all time! Glad to see a lot of her work, not sure if it’s all of it, being reissued, possibly partly because of the Two Faces of January film. Anything that gets a new generation reading her is A Very Good Thing. I’d forgotten how much I like short stories too. I really want to see the ‘Two Faces of January’ film. I must try and get to the cinema while it’s on. I know, it takes a lot to get me out of the house and to the cinema, rather than waiting for the DVD, but that’s one film I desperately want to see. Also, unlike Ripley (which was a bit over-rated, in comparison to the book, I thought), I haven’t read this at all so it’ll be something new. Shame you’re not nearer. We could have gone together! Well if you ever fancy a holiday on the West coast of Scotland….! West Coast of Scotland? I’m green with envy. How absolutely beautiful. there was one, especially for readers. It can be lovely, especially when the weather’s good – it’s absolutely roasting at the moment! I live in a town called Oban, plus my parents have a farm on the Isle of Mull, so we don’t have far to go for a lovely holiday, go to the beach, and at night watch the lambs play! Mind you, when it’s raining it’s pretty depressing – the same everywhere! It sounds lovely. Are you planning on going to ‘Bloody Scotland’? I’m really tempted. Very tempted, although for accommodation Edinburgh Book Festival is easier for me as I’ve friends there, but I think I’d prefer Stirling as it’s all crime fiction. If the pennies are there, I’ll definitely go. It’s September isn’t it? You should definitely come up! Where are you located, roughly? I’m in the Derbyshire Peak District. I went to ‘Bloody Scotland’ for the day last year and, looking at the schedule, I think Sunday sounds more interesting than Saturday this year. I agree, although I’d like to see Caro Ramsay and Alex Gray on the Saturday. Plus Denise Mina’s on on Friday night. I wish she would stop getting involved in comic book and film projects – it means waiting even longer between her books lol!